Awgu is a Local Government Area (LGA) in Enugu State, Nigeria. Geographically, Awgu LGA is located approximately between latitudes 06 00’ and 06 19’ North of the Equator and longitudes 07 23’ and 07 35’ East of the Greenwich Meridian. Awgu LGA is bounded in the north by Udi and Nkanu West LGAs, in the west by Oji River LGA and share border with Isochi L.G.A of Abia State in the south. The Natural features and landscapes of Awgu made it the top choice for Nigeria Breweries Plc sponsored TV adventure, Gulder Ultimate for the search for the lost chronicle in its fifth edition in 2008. Although the Agwu Range of Hills cut across almost all the towns in Awgu Local Government Area down to Abia state and okigwe part of imo state but i will be sharing with you Top Five towns with the most amazing hills. Located in northwest part of Awgu Local Government Area, Enugu State. Ugbo is Known for its natural habitat, including serene hills, caves, large rocks and stones, rivers, forests, wild animals, and fertile lands. Ugbo is the ancestral home to many towns in Igboland, the population of the town is projected to be about 32,000 based on 2006 census. Although Ugbo is a hill town and situated on top of a hill, two major hill in the town includes the Ofesi hills and Nkume Nshi.. Ugbo occupies a vast area of land bounded by other communities, such as Obeagu to the southwest, Achi to the west, Amoli to the northwest, Owelli to the north, Ogugu to the east, and Mmaku to the south. Awgu is the Headquarters of Awgu Local Government Area (LGA) in Enugu State, Nigeria and the Headquarters of Awgu Catholic Diocese. Awgu town is also the Orientation Training Centre for National Youth Service corps members posted to Enugu State. Awgu is marked by extensive hills and these hills have steep slopes and could attain an altitude of about 350–400 meters above sea level. Although not among the most popular towns in Awgu. Ugwueme is a hill town, located in the southern part of Awgu Local Government Area, Mostly associated with the udi Hills because of its beautiful and breathtaking view. Ugwueme is not only known for its beautiful hills as the town has other tourist attractions such as caves. Isu Awaa is one of the towns in Agwu with beautiful hill, Located in northern part of Awgu Local Government Area, Enugu State. Isu Awaa is Surrounded by Prominent Towns such as Ituku, Agbogugu, Agbudu. Over the years, Isu Awaa has become one of the most popular spot for hiker who garter at the town every December for their annual Endurance trekking. Oh my goodness that looks beautiful! I always love seeing photos of other places. We all forget how different and beautiful this planet truly is. 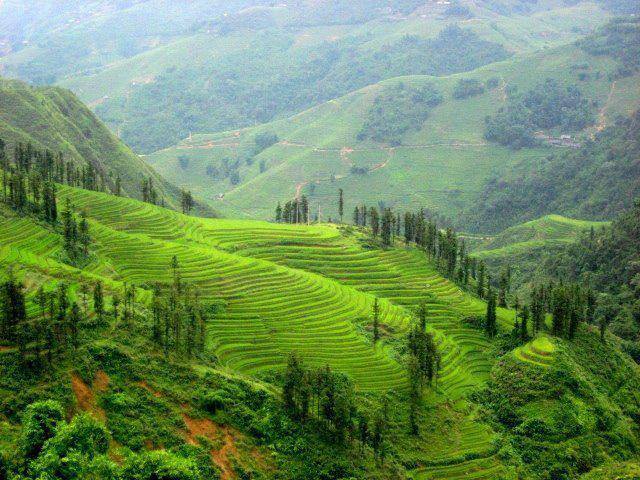 Wow, beautiful hills! Is it fairly easy to travel from town to town? I wouldn’t mind taking some nice hikes and then checking out those caves you mention! Those hills are just begging to be set camp on. So green and lush, camping is such a nice activity to participate in. Wow, it looks like such a fun place to explore. I would love to visit Nigeria someday. I’ve never really seen photos of Nigeria but I never imagined how beautiful it is! So lush and green. Those are beautiful hill that you should take a hike on. Your photography is amazing as well. Wow these are some beautiful hills! Great photos! I have always wanted to visit Nigeria as I have so many friends from there.o I am an avid hiker and would love to participate in the annual December Endurance trekking in Isu Awaa.